WASHINGTON — The U.S. Army is planning to bring new vehicle protection technologies to the fleet as early as 2020 to include reactive armor tiles, as well as laser warning and signature management capabilities, according to Col. Glenn Dean, the program manager for the service’s Stryker combat vehicle. Dean is also in charge of bringing active protection system capabilities to the current fleet. The service has been rigorously testing APS for the Abrams tank, Stryker and Bradley Fighting Vehicle. Israeli company Rafael has already been chosen to provide an interim APS system for Abrams. Other systems are being evaluated for Stryker and Bradley. In addition to the service’s plans to rapidly field interim systems for its combat fleet, it is preparing to evaluate other kinetic energy defeat capabilities, Dean told reporters in an Aug. 24 interview. The service recently put out a request for proposals to industry for state-of-the-art capabilities for defeating tank-fired, long-rod kinetic energy penetrators. After an extensive evaluation, the Army has chosen to take Artis LLC's Iron Curtain active protection system out of the running for an interim solution for the Stryker combat vehicle. The Army doesn’t expect to find anything ready for prime time just yet, Dean said. 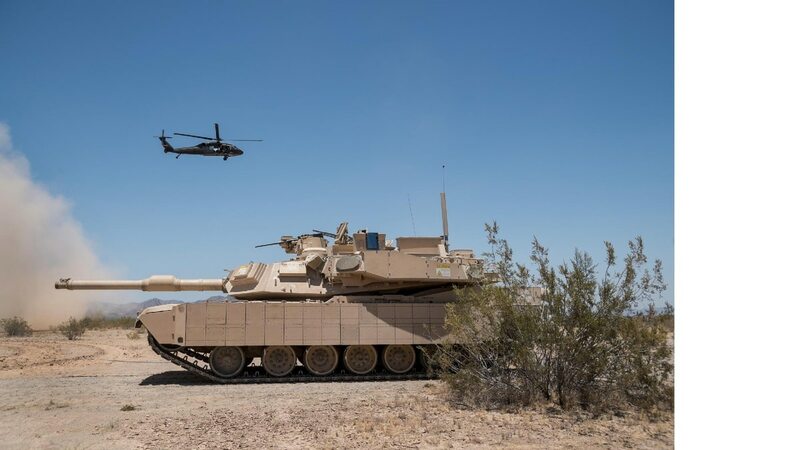 Beyond the effort to look at defeating specific threats to combat vehicles, the Army is initiating its first round of vehicle protection systems programs that will be delivered to the fleet beyond the interim solutions the service is now qualifying, according to Dean. And capability will not just go on the current Bradley, Stryker and Abrams fleets but also potentially the Army’s Mobile Protected Fire Power solution — which industry is currently competing to build — and the Armored Multi-Purpose Vehicle, or AMPV — which BAE Systems is producing. The solutions could even feed into the Army’s Next Generation Combat Vehicle program. The first program will look into signature management capabilities to address “all of the various signatures — visual, infrared, radar, sound, electromagnetic — that a vehicle puts off,” Dean said. The capability will begin to “control and reduce those to reduce the detectability of the platform and its vulnerability to threats,” he added. The service will also continue its work on advanced reactive armor tiles for AMPV as part of its base vehicle protection. But that advanced technology will be shared across multiple other platforms in the Army’s fleet, Dean said. While the program is not considered the most technologically challenging, there is a manufacturing challenge associated with it, he said. Like any program, “you’ve got a new design and have to transfer it into production and work through the manufacturing readiness steps,” Dean said. The Army will also devote effort to a laser warning program “that will provide the ability to detect, identify and then locate laser sources” such as laser range finders or beam-riding anti-tank missiles, Dean noted. For all three programs, the Army is interested in incorporating technologies that have come out of its own research and development base, but will also turn to commercially available solutions where appropriate, Dean said, such as in the case with laser warning capabilities. The Army plans to hold a laser warning rodeo to evaluate commercial systems “a little bit later this year,” Dean said, noting it might be possible to speed up its fielding of a laser warning capability depending which systems are evaluated. While laser warning capabilities are already commercially developed, integration onto military platforms will be challenging, Dean said. The three programs are “obviously funding-driven,” he noted, and the timelines will depend on the availability of money. But the Army anticipates being reading to field the three technologies in the 2020-2022 time frame for the current combat vehicle fleets. The service also plans to focus on other VPS technologies transitioning out of its science and technology efforts, Dean added. For hard-kill options, the Army is evaluating solutions beyond current off-the-shelf technology such as “what we call hostile fire detection,” which offers another way to alert the vehicle crew to incoming fires across a range of threats, according to Dean. The three programs underway as part of the VPS portfolio are meant to roll out to the fleet before its future Modular Active Protection System, or MAPS, architecture is ready for delivery, Dean said. Depending on the long-term strategy, the Army will decide whether to bring those capabilities into the MAPS architecture. The Army is speeding up development work on its future Modular Active Protection System for combat vehicles. MAPS, which is currently a science and technology program, will transition to the VPS program office at the end of 2019.